Conservatory Blinds & Window Shutters. 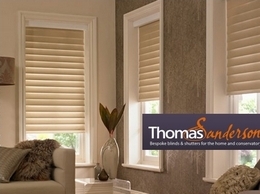 Stylish Seasonal Savings with Thomas Sanderson – up to 50% OFF* Request a FREE brochure or appointment today. QPS carry out all types of property refurbishments including domestic, commercial and social housing projects, and pride ourselves on meeting our client’s requirements in a professional, yet friendly, manner. A local Basingstoke Carpenter and Joiner providing Home Improvement Services. Fully Qualified with 30 Years experience, Free estimates and Free DIY advice on-line, Fully insured. For a friendly - professional and trustwothy service Contact Keith!